The most luxurious sports cars in the world call for nothing less than the most hands-on customer service experience. 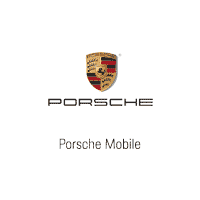 That’s what we provide at Porsche Mobile in Mobile, Alabama. From a large selection to competitive rates, we will help find an honest, hassle-free way to make things work for you. Our new inventory features exciting models like the 718 Cayman, the 911 Carrera, and the Macan. We also offer quality pre-owned options for those looking outside of the brand new route. The team at our Porsche Finance Center is dedicated to working closely with each customer. We offer financing and leasing options to suit your needs. Should you need to bring your vehicle into our service center, our expert technicians are here to perform oil changes, powertrain repairs, and so much more. You can even purchase parts to take on repairs at home. Ready to experience Porsche? Visit our dealership or contact us online.